Reverse Osmosis Systems | Ken Neyer Plumbing, Inc.
Concern about the quality of drinking water is rising in homes—that’s probably why you’re reading our post. Lead is one of the main concerns, and for some pretty good reasons. If there is excess lead in your drinking water, you’ll want to find solutions. We’re here to give you useful information on lead in residential water and what can be done about it. What Is a Reverse Osmosis System? And Should You Get One? When you want better quality water in your house, there are a few different options available for installing whole-house water treatment systems. Water filters and various types of water purifiers are the most common types, but it’s vital that you depend on a professional to find what exact kind of treatment system will do the job you need: there is no such thing as a universal water treatment system that targets all types of contamination. One of the choices for water treatment available to you is a reverse osmosis system. This is an extremely powerful way to remove pollutants from water that works through a natural process. Posted in Water Treatment Systems | Comments Off on What Is a Reverse Osmosis System? And Should You Get One? 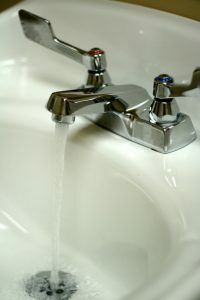 Homeowners are more concerned than ever with the quality of the water that enters their plumbing. Even with the best municipal water treatment plants removing harmful chemicals from the water, contaminants such as heavy metals, minerals, and pesticides can enter freshwater pipes through ground water seepage. The water that comes in your home could be filled with unwanted pollutants that create health problems for your family and issues for the plumbing.